Microsoft is one of the best cloud clients in terms of the number of people using it and the features it offers in its public cloud. Microsoft started with several free cloud services but later merged them into the one of the best cloud clients – Windows SkyDrive. Though Microsoft also offers paid cloud services such as Business Productivity Online Standard Suite (BPOS) and Windows Azure, the most used cloud package is Windows SkyDrive. The BPOS and Windows Azure are packages meant for businesses of small to corporate types. BPOS offers storage and online hosting through Exchange Online, online file sharing through SharePoint, and also offers many other tools to manage instant messages and emails. Windows Azure, on the other hand, is more suitable for software developers. Microsoft Windows Azure offers resources for developers to create, test, and host their programs as SaaS (Software as a Service). Both BPOS and Windows Azure have a great backup system that auto sync backup servers with the main ones. This way, people using these services have access to most current data even in the case where the main server is down. Read MS Word, MS Excel, MS PowerPoint, and MS OneNote files even if you do not have a local copy of MS Office on your machine. The points (2) and (5) are managed by Office Web Apps. This is one of the best features Microsoft could bring into SkyDrive. Using Office Web Apps, you can access and edit files related to the above mentioned applications of MS Office without the need of buying and installing MS Office. SkyDrive offers 25GB of space to each account and can be used by individuals, home businesses, and maybe even small businesses to backup and share data of almost any type. Microsoft also offers a great cloud package that handles most aspects of computing in small businesses. Please read our article on Office 365 Comparison to learn about Office 365 and how it fares when compared to other cloud clients. Second in the ratings speaking of the best cloud clients, is the Google Docs cloud package. Most of you may already be already familiar with this cloud package from Google. It has been the preferred choice for online storage and sharing of files via clouds. A free cloud package from Google, it allows users to upload files so that they can access them from anywhere on the planet. 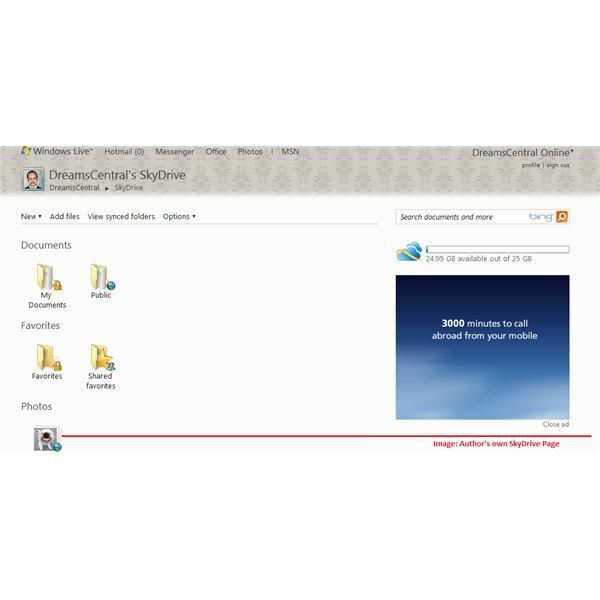 Users can also set sharing permissions so that others can View or View and Edit files on cloud. 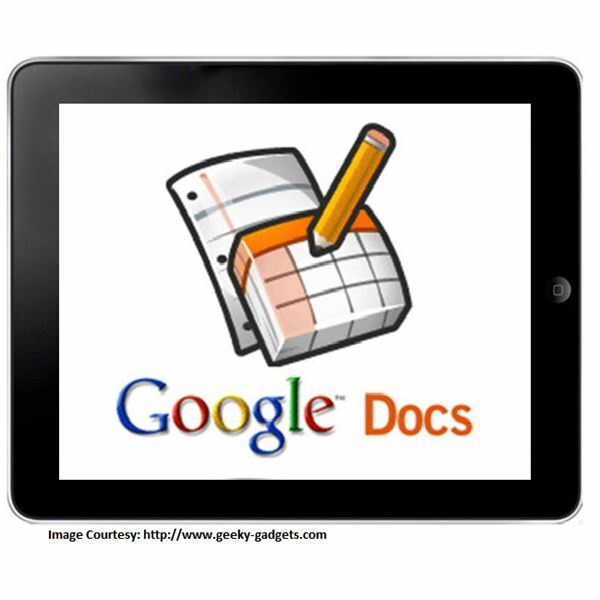 The only drawback of Google Docs is you cannot upload files of all types. It accepts only the following formats: MS Word, MS Excel, and MS PowerPoint. However, once uploaded, you or the other users with editing permissions can edit the files without having to download them. Like SkyDrive, the users need not have a local copy of MS Office as Google Docs converts the files into its native format while uploading the files. The feature I like most about Google Docs is that it shows you a log of who accessed the uploaded files and when. The logs also show the kind of operations performed on the files so you can know if anyone unauthorized is trying to play with your files. This feature is not present in Windows SkyDrive. Google also offers a paid cloud computing packages for small businesses – Google Apps that offers plenty of facilities for a nominal annual rate. Among the best cloud clients, based on popularity and features, is IBM cloud computing coming in at number three on my list. Though IBM offers several types of cloud computing packages, the most famous one is IBM Infosphere Guardium. This package, selected from a list of best cloud clients, deals with the databases of small to corporate level businesses. Not only does the IBM Infosphere Guardium offer you a place to store your database so that you can access it from anywhere on the planet, it also takes care of the different issues related to database management. Logs are the main factors that affect database management. 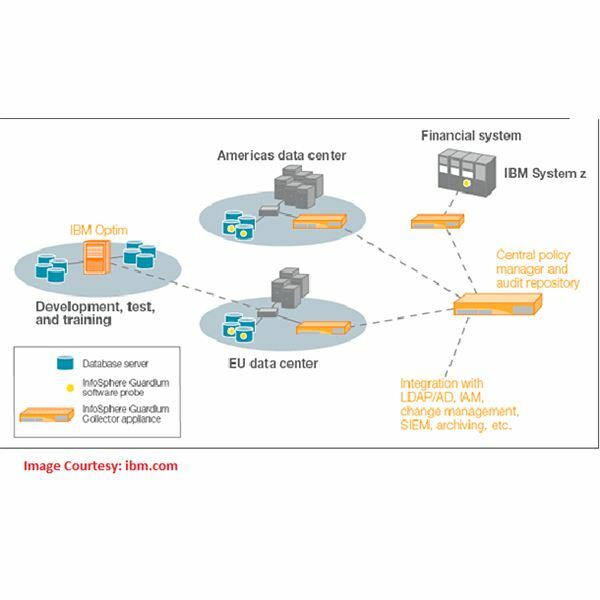 IBM Infosphere Guardium makes sure every attempt to access the database is logged so that database administrators can detect illegal attempts to access the database. Automates the entire auditing process. The IBM Infosphere Guardium also scans your databases for possible vulnerabilities and offers advice based on the types of vulnerabilities found during the scan. This eases the work of database administrators. Ubuntu cloud computing stands at number four when it comes to the best cloud clients. Ubuntu cloud computing is managed by Canonical Pvt Ltd. With Canonical in association with Intel, they offer several packages so that businesses can build their own private clouds, the most famous cloud offer from Ubuntu is a public cloud that has been termed Ubuntu One. Ubuntu One is also maintained by Canonical Pvt Ltd and is great for individuals and small businesses. Differentiating between private and public clouds, private clouds are personal cloud infrastructures for any business. The private clouds contain data for only the business for which it was built. On the contrary, public clouds can have data from more than one company on its servers. 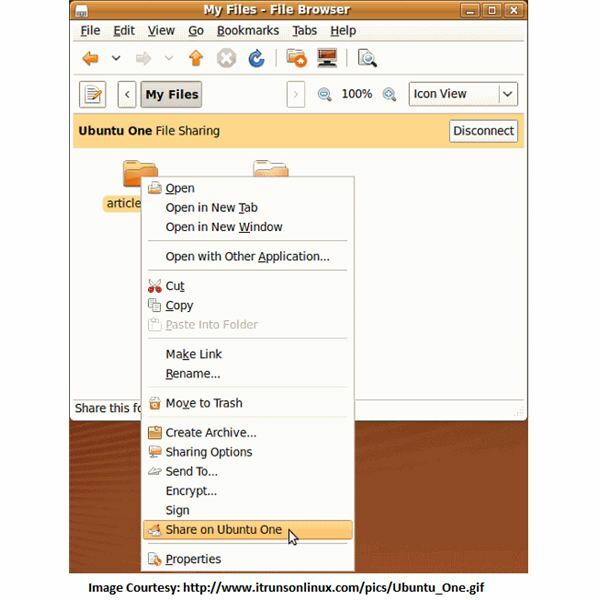 This means that Ubuntu One offers space to different users on the same set of servers. This is not much of an issue except that when a public cloud is hacked, several accounts are compromised. However, cloud hacking is a rare when it comes to Ubuntu. As with most cloud computing services, Ubuntu One also offers 5GB of free storage. The service is offered in form of SaaS. You have to download the software from Ubuntu to select and upload files to the cloud. The drawback is that if your storage need exceeds 2GB, you have to buy space in multiples of 20GB. For example, if you have to store 25 GB of data, you cannot buy just 25GB space. You have to buy 20GB + 20GB. Ubuntu also offers an online music store that supports MP3 files. You can access and download unlimited music files to your mobile devices with MP3 players. There is a nominal fee of USD 39.99 per year. No wonder Ubuntu One is one of the best cloud clients for music lovers and teens. Mozy stands at number five in my list of best cloud clients. Mozy is also a SaaS (Software as a Service) that allows you to upload and store files remotely. Basically, Mozy is used as a backup utility as the SaaS software from Mozy has a feature that uploads a file as soon as any change is made to the original version. Of course, you have to configure the software to do this. To enable continuous backup, just click the Continuous Backup option from the system tray icon. Mozy also offers 2GB of free storage that can be increased as per your needs by paying additional fees. When you create an account with Mozy, you get to download a free software. This software allows you to create individual data backup sets. You can create more than one backup sets and schedule them for uploads at different times. The data that you back up using this software, is stored on Mozy servers. You can access this data from the same computer or from any other computer at a different location. A feature that could be added to enhance the service is data sharing – just like Google Docs or SkyDrive. Still, Mozy is one of the best auto backup services I came across. This concludes my list of the best cloud clients. If you have anything to share, please use the comments box below. This series covers best cloud clients based on the whitepapers released by the related companies. It includes: Microsoft cloud computing, IBM Infosphere, Ubuntu One, Enterprise Vault for BPOS, and Oracle Fusion for building your own private clouds.